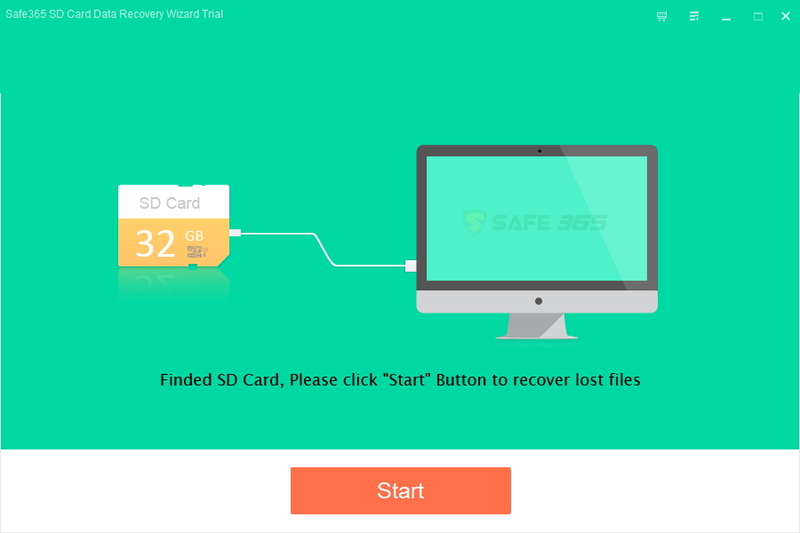 Safe365 SD Card Data Recovery Wizard is the professional Card Data Recovery software which can easily recover data from a large variety of memory cards, including SDHC, miniSD, TransFlash, MicroDrives, CF cards, Memory Sticks, MMC and Flash cards. Step 2: Select a location to start finding data and choose the specific types of the files you want to recover. Step 3: Click "Scan" button to continue. Step 4: Safe365 SD Card Data Recovery Wizard performs a quick scan of the selected partition, in order to identify files and folder structures. The recovered items are displayed in the column on the left, with the files separated into the folders in which they were initially stored. You can select the files/folders you wish to save to your computer or start an advanced search. 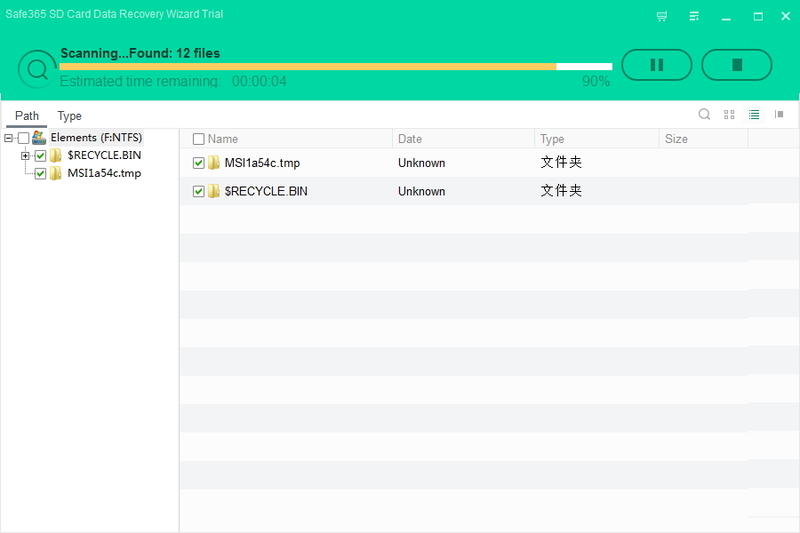 The in-depth scan is capable of detecting significantly more files that were lost and display them into folders, by their type. You may also sort them by path or time of deletion. 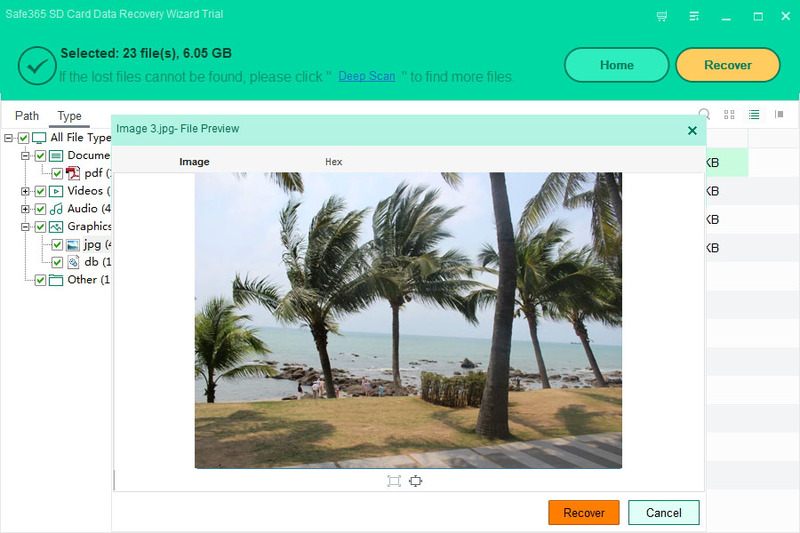 After scan, click "Recover" button to get back lost data from sd memory card.